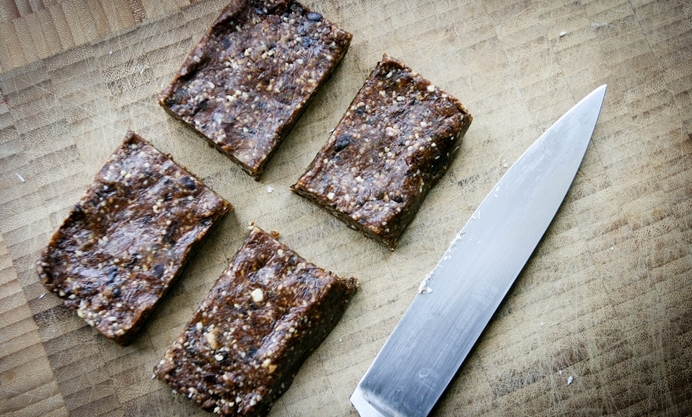 Monica shares a great basic template for making all manner of homemade raw bars. Discover how Agen prunes are perfect for binding the ingredients together and are less sugary than dates. I first became acquainted with Agen prunes when I went to Gascony in 2012. As my friend Mardi (eat live travel write) puts it: “if someone thinks they don’t like prunes, give them one of these and they’ll change their mind.” It’s totally true. Agen prunes (pruneaux d’Agen) have been developed to have the perfect balance of sugar and acidity. They are moist, delicious and very addictive. I always bring some back with me when I go on my French road trips. Speaking of road trips, while I was cruising along the autoroute last December from Gascony to the ferry terminal in St Malo, snacking on prunes and daydreaming about car snacks (and Armagnac, also good with Agen prunes), I got to thinking that these prunes would make a great alternative to dates in a homemade raw snack bar recipe. I’m talking about snack bars of the Larabar / Nakd bar variety; basically a nut and dried fruit mush, expensive to buy, delicious to eat, and actually really easy to make at home. 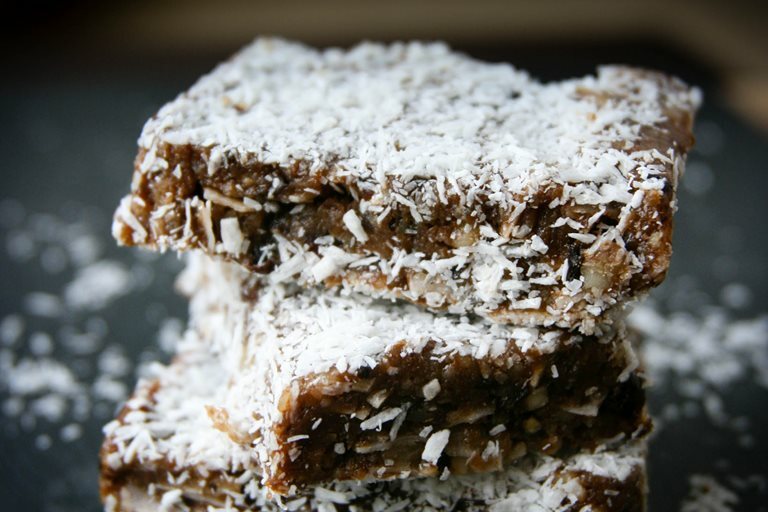 Dates are the default fruit binder in homemade raw bars, but they are SO sugary that it makes me wonder if these raw bars are any better for you than a Snickers bar (for your reference, a “Cashew Cookie” Larabar has 230 Calories and 18g of sugars while a Snickers bar has 250 Calories and 27g of sugars - food for thought!). Not long after I got home I tested my Agen prune theory. It turns out that the prunes are even better than dates for binding the ingredients together, and they have almost half of the sugar as dates. I love their flavour, less cloyingly sweet than dates and with a character all of their own. In this recipe I’ve combined the prunes with walnuts, a nut which I’ve always found a nice compliment to prunes, and are also purported to be “the healthiest nut” for their high level of antioxidants. I also added cinnamon (I love cinnamon) and coconut flakes (I love the texture), though you could keep it pure and simple and omit these ingredients, or get creative and add your own spices and add-ins. And so, from my Gascony road trip, a road trip snack is born! And this isn’t only for road trips - I’m going to be bringing these on hikes and bike rides, too. 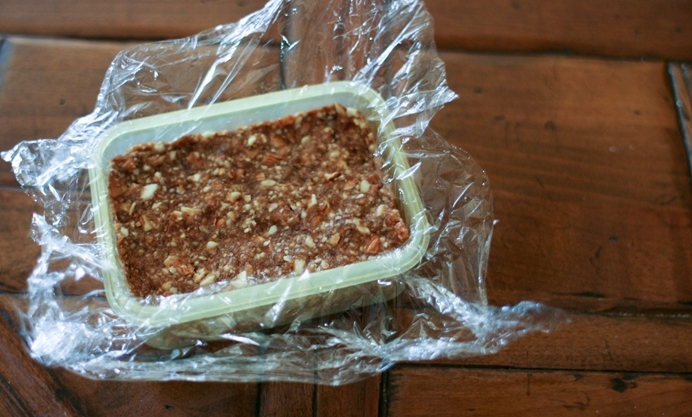 This is a good basic template for making all manners of homemade raw bars. Sub all or some of the prunes for other dried fruit; the walnuts for cashews, almonds or a mixture; add other spices like nutmeg, ginger or cocoa; experiment and have fun!